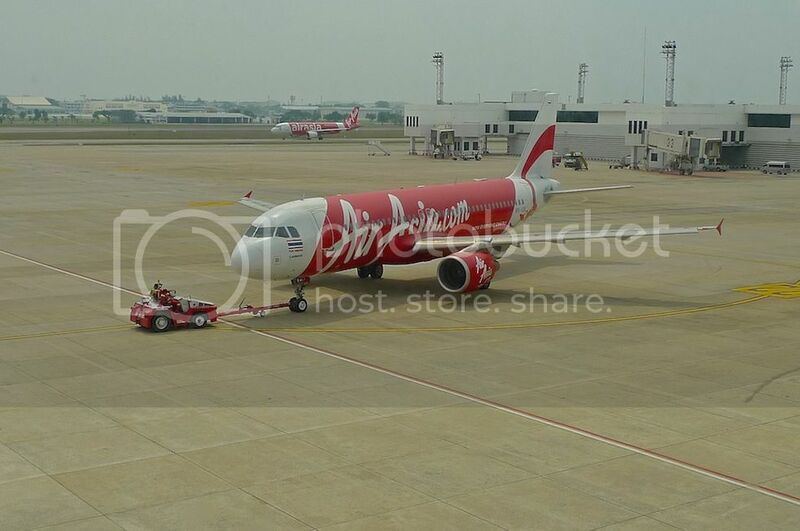 Finally, I have reached the last post of my 2014 Bangkok travel series! Yes, what a relief! Haha! Now we can move on to the next destination. My friend and I did not have breakfast at the hotel that morning. 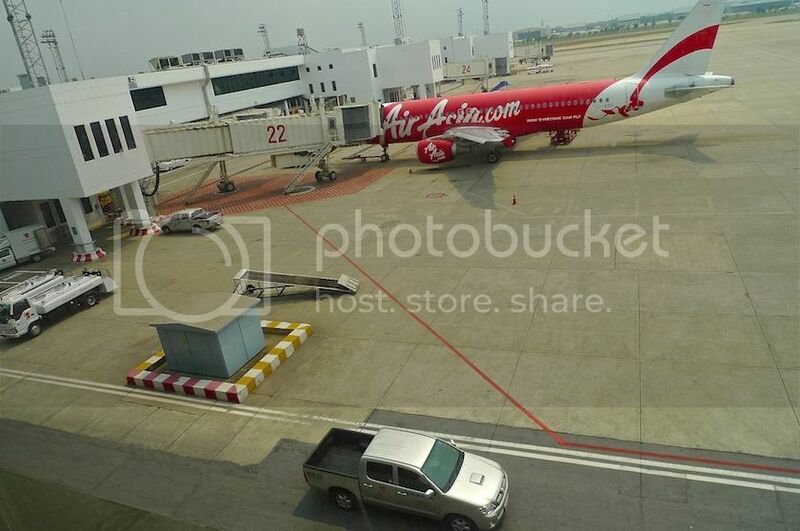 We checked out at around 9.30am and took a metered taxi to Don Mueang Airport. We reached the airport at about 10.45am, slightly less than 3 hours before our scheduled flight back to Kuala Lumpur. However, after checking in our luggage, we heard an announcement that our AirAsia flight would be delayed by about 30 minutes. So we had even more time to kill. 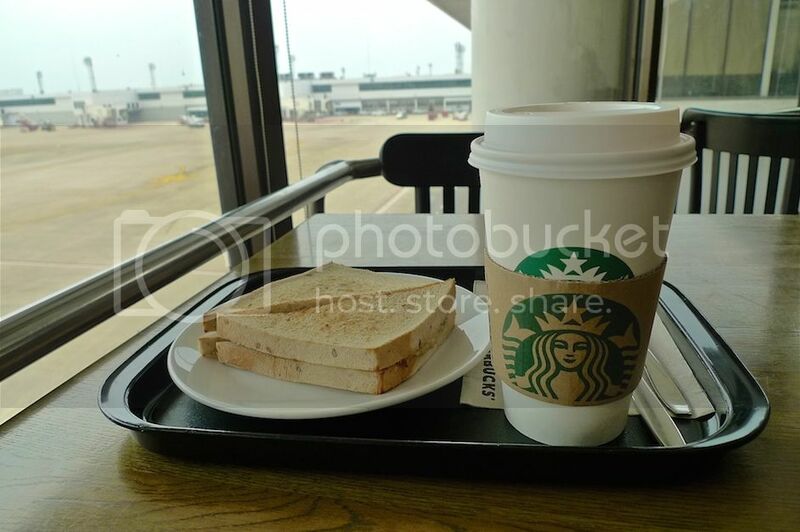 There was nothing much to see and do at Don Mueang Airport, so we just lazed around at Starbucks. We sat next to the glass window and watched airplanes land and take off. Actually, it was kind of enjoyable. Lol. 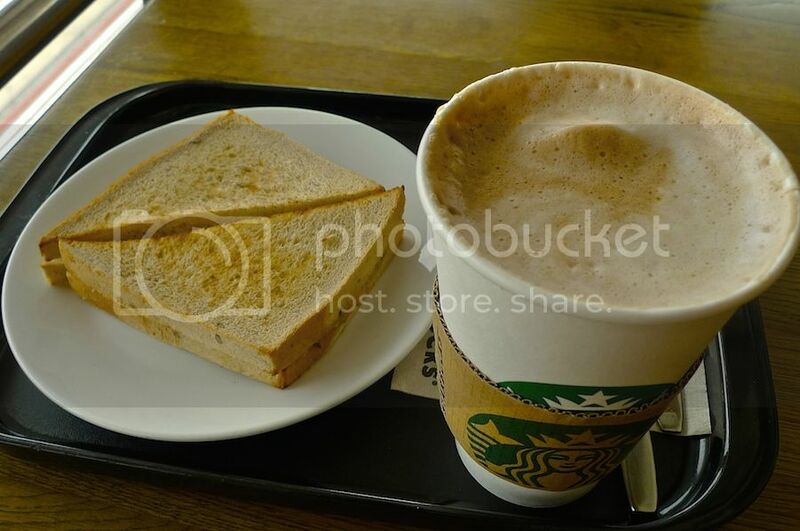 I had cafe latte and tuna sandwich. My friend had something else - I could not remember what as I did not take any photo of his food. 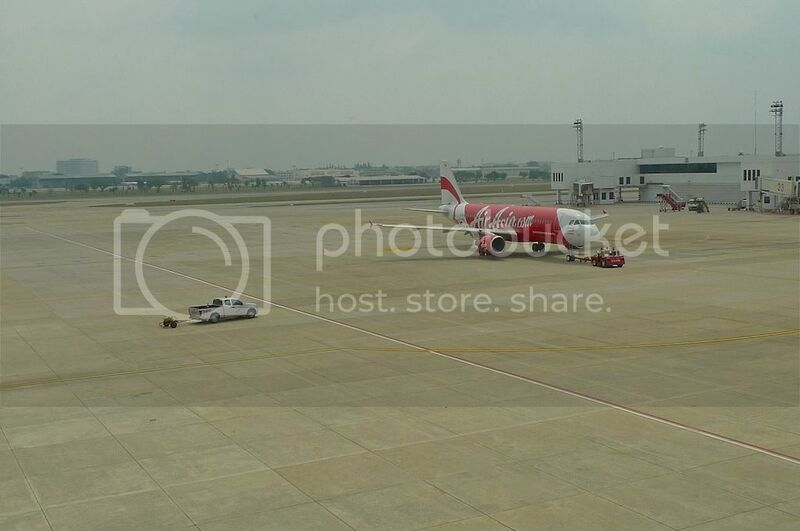 Took some photos of an AirAsia plane that just landed. 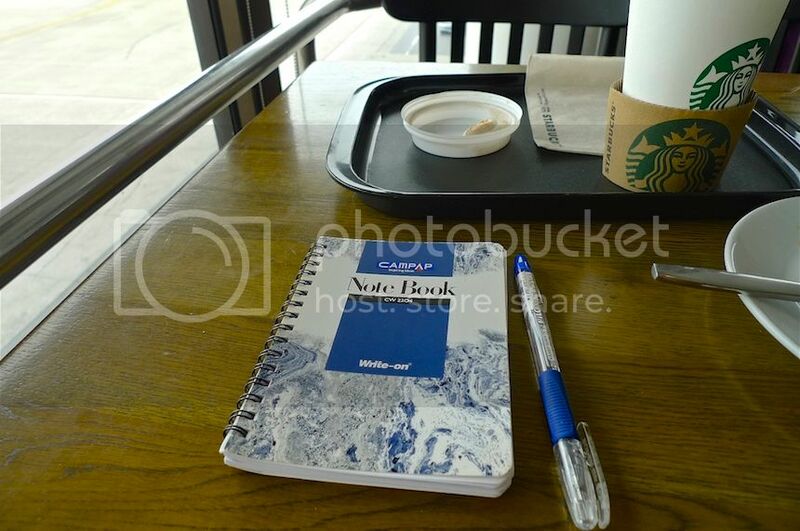 Of course I also took the opportunity to use the free time waiting for my flight to write down whatever experiences I had during this Bangkok trip. Some of you may wonder how come my friend never appear in any of my Bangkok trip photos. Well, like me, he did not want his face to appear on the photos I post on my blog. So I had to make sure I did not upload any photos with him in it. Lol. Soon, it was time for us to board our flight. 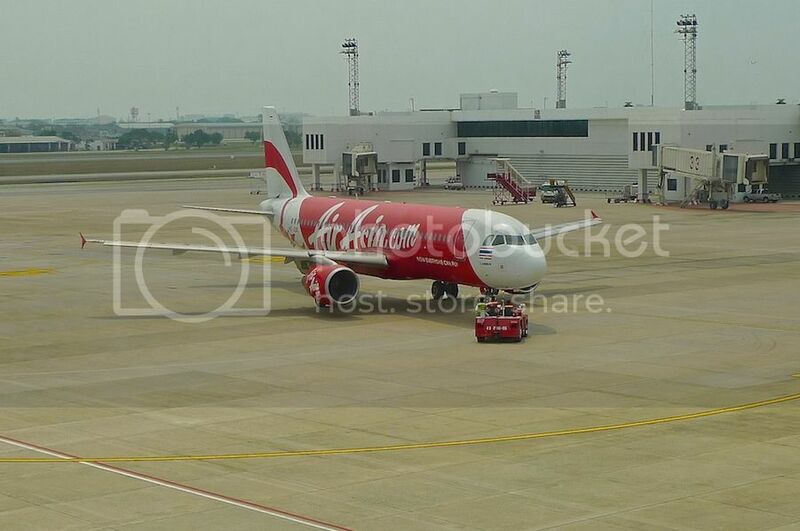 While inside AirAsia plane ready for take off, I saw this plane behind us. It looked like a bird with the nose area painted to resemble a bird's beak. 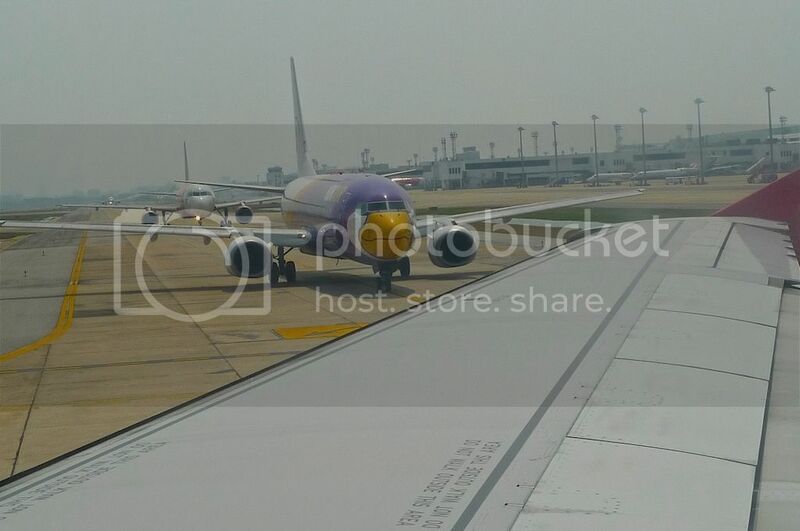 It's actually Nok Air, the budget airline of Thai Airways! Isn't it cute? If you happen to miss any of my 2014 Bangkok trip posts, check out the links below. I have tried to arrange them in chronological order. Meantime, good bye Bangkok! 10. Wat Ratchabophit : One Of The Most Beautiful Temples In Bangkok! 12. Is Bangkok Still A Safe Destination?